Yes, you can use the same curriculum to homeschool kids across multiple age groups and grades in a one-room classroom setting. With those advantages in mind, here are three ways to start your own one-room classroom. Choosing a curriculum designed for younger or middle school students is one way to set the starting point for your multi-level classroom. Supplement the activities with more difficult assignments like research papers, digital projects and literature. 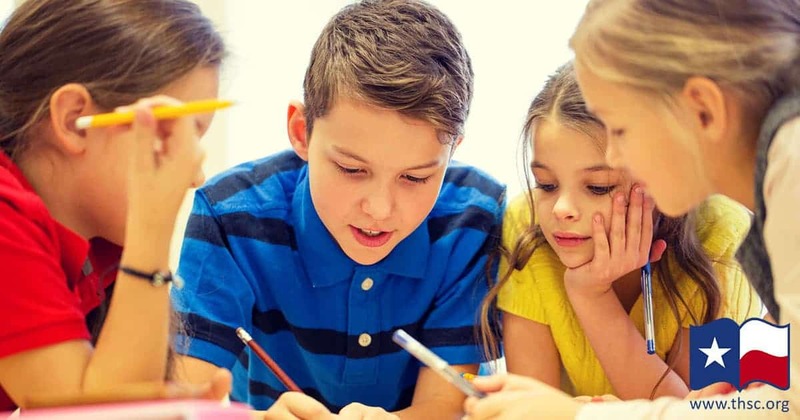 You can also ask older students to prepare a portion of the lesson for the younger students by giving them one of the week’s topics and allowing them to create a presentation for the end of the week. Many times, retelling a topic in detailed, simple terms is a great way to ensure students master the material. Begin with the requirements for your oldest student. You can do this by purchasing or preparing curriculum that satisfies the needs of his or her grade level. After the class structure is established for the older student, you can identify key topics for the purpose of teaching a younger student or students. Age appropriate books, art projects, writing assignments and documentaries are all ways to maximize the fun while teaching the facts. Again, by having your older student tell his or her younger sibling more about what was learned, they are verbalizing confirmation of their understanding. Curriculum suppliers see an advantage providing materials that can be used in multiple grades. 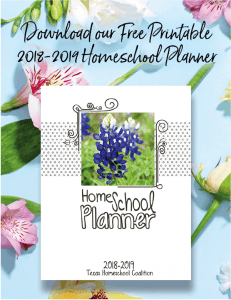 Many times you will find a set of lesson plans, workbooks or printables sold together for elementary, middle and high school. Purchasing these types of materials saves preparation time. It also allows your family to share the same lesson from the same material, but with the students working at their grade appropriate level. Finding ways to be creative, efficient, frugal and all-encompassing is very important when teaching different ages. Are you nervous about starting your own one-room classroom? Just give it a try with one subject—history or geography are good subjects to start with. Once you make that decision, grab an interactive curriculum set and map out your lessons today! Not sure what curriculum to purchase? A variety of curriculum will be available for purchase at Called to Teach THSC Conventions. Come join us and turn your next curriculum purchase into one the whole family can enjoy! To learn more about ways THSC supports your family, consider joining THSC today and immediately start taking advantage of your member benefits as THSC continues Keeping Texas Families Free. Your Turn: Do you have experience with a one-room classroom? Share your success stories, challenges and obstacles with other homeschool families in the Comments Section below. Tapestry of Grace curriculum has been great for keeping us all studying the same history but at different levels. I am overwhelmed and not sure where to begin! I want to homeschool my 8th grader immediately and I have no idea where to start. It is common to feel overwhelmed. However, there is no better place for a child to learn than in a loving, family home! I will send you a resource list to help you get started if you are looking for curriculum ideas. I will also send you an email with an overview of our website. If you have questions after reviewing, please call our Customer Relations Team. Leave us a message if you reach our voicemail. Our call volume can be high, but we will call you back. Please let us know if we can help! I would like to start homeschooling my girls, grades 5, 10, and 11. So many people, including my spouse, have been telling me that this won’t be good for them in the long run. They are saying that this stops them from interacting with kids their age and that schools or universities won’t accept them later in life. I am quite overwhelmed. I just want what’s best for them. I want to start the process sooner than later, but I’m not sure if I’m in over my head. Hi Yolanda, I understand your feeling of being overwhelmed. The simple truth is that homeschooling can be anything you make it. If spending time with same-age peers is important, you can join homeschool groups (find one on this page: https://www.thsc.org/home-school-resources/home-school-groups/). Maybe 20 or 30 years ago, getting into college with a homeschool diploma was something to be concerned about, but not anymore. In fact, 50+ colleges from across the U.S. come to court homeschool students each year in HEART of Texas Homeschool College Night. Read more about that here: https://www.thsc.org/2015/12/10-benefits-of-attending-a-home-school-college-night-21484/. If you’re concerned about your ability to teach the higher subjects, read this post: https://www.thsc.org/2016/08/smart-enough-homeschool/. And finally, here’s a link to the first in a 4-part series about homeschooling with diligencehttps://www.thsc.org/2015/09/home-schooling-with-diligence-20761/ A lot of your questions will be answered by reading that and the other parts, which are linked at the bottom of each of the posts in that series. When you start digging into all the amazing resources that are out there for homeschooling, you’re going to feel a new kind of overwhelmed: Which of the many resources should you pursue?